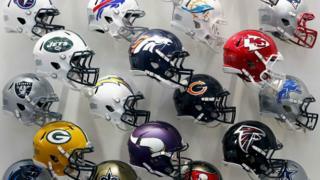 A US appeals court has upheld a $1bn (£700m) settlement between the National Football League (NFL) and a group of retired players who suffered brain damage as result of concussions. Circuit Judge Thomas Ambro called the agreement imperfect but fair. Some players involved in the lawsuit had also lobbied for potential victims of chronic traumatic encephalopathy (CTE), to be covered. The settlement could apply to over 21,000 former players, the NFL said. Some 5,000 former players successfully sued the NFL, claiming it hid the dangers of repeated head trauma. Top NFL officials now acknowledged a link between head trauma in football and CTE. CTE is associated with symptoms such as memory loss, depression and progressive dementia. The disease, which can only be diagnosed after death, has been found in the brains of dozens of former American football players. The NFL and the players' group did not respond to requests for comment. Is rugby bad for my brain?